Clonepoint is a free game. This means that the source code is available to be studied, modified, and distributed. Most projects look for help with testing, documentation, graphics, etc., as well. Clonepoint is a clone of a proprietary game Gunpoint. 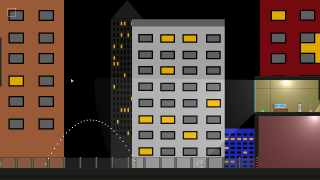 It is a stealth game where the player has to climb buildings, avoid guards and hack computers. This page was last edited on 9 February 2019, at 09:52.